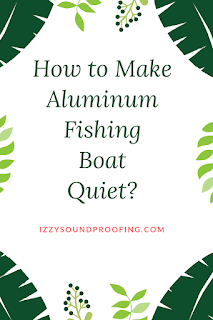 How to Make Aluminum Fishing Boat Quiet? 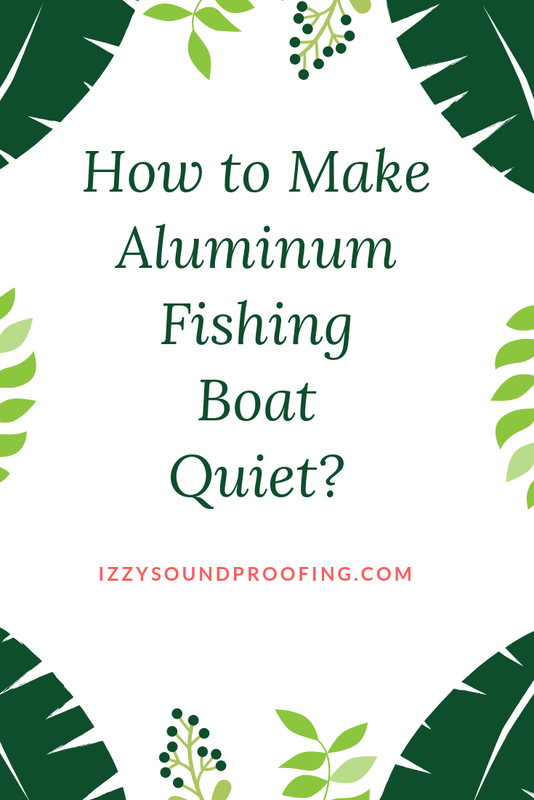 In this post, I'll walk you through the step-by-step process to make Aluminum fishing boat quiet. It goes without saying that the Aluminum fishing boats are loud and the rattling noise will scare fishes to the other sides. These steps will help you to deaden the noise. 1. Check for the loose parts- A thorough check for the loose parts such as nuts, bolts, screws, and rivets can help you to identify the cause of the unwanted noise. After finding the loose part, tighten it hard. 2. Check for the leakage- It is advisable to check if there is any leakage present in the Aluminum boat. Identify the holes and cracks, and seal them. 3. Fill the gap between boat hulls and floor braces- It is very important to fill the gaps. You can use a non-expanding foam for this purpose. Don't leave any hollow area. Personally, I'm not in favor of using expanding foam on Aluminum boats because it can rip rivets free. 4. Cover your Jon boat floor- Using a tape, take the measurement of the floor of the boat. Now, cut sheets of Styrofoam and place it on the surface of the floor. Using caulk tack it on the floor. Don't forget to leave the space for the drain plug. Most of my clients prefer to skip this step, but if you are looking for the superlative result, then please continue with this step. The idea behind this step is to create a noise dampening layer. 5. Use Carpet to cover the boat floors- Measure the boat floor and cut the carpet a little longer so that it extends up the wall of the boat slightly. Use a carpet that is thick and easily washable. 6. Regular Maintenance of the boat- An Aluminum boat has a good lifecycle. It will last several years if maintained nicely. It's advisable to wash both inside and outside of the boat once you're done with the fishing. To enhance the speed on the water, wax the hull. Either flip the boat or cover it properly to prevent the water collection. I hope you would have got the information that you were looking for. Feel free to contact me for any doubt or query. Sharing is caring! Share this piece of information with your friends and family.